It can be installed on Kubuntu with Muon Discover Software Center. But the current installed version is 5.5, not the current latest version of 5.9.7. 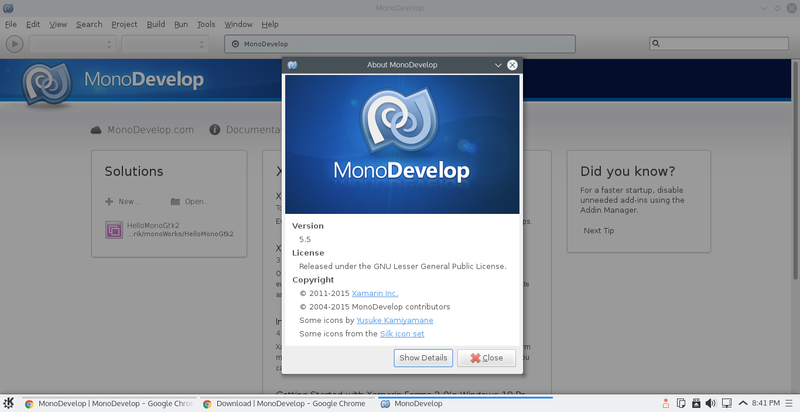 Install MonoDevelop on Kubuntu 15.10 (run on VirtualBox) with Muon Discover Software Center, and create Hello World Project of Gtk# 2.0.